Discussion in 'Off-Topic Lounge' started by Brooke, Jul 2, 2014. If any of you guys make a comic about PG, feel free to post it in here also! 'Hope to see a lot of amazing art! So... Can we post our art on this thread? Sure! I'll just change the thread title. I really should get back into drawing. These thing i posted, are from 2012. Here's what I posted on FaceBook for the New Weapon Contest. NoisyBlengx 65% Restored Alfa Romeo. 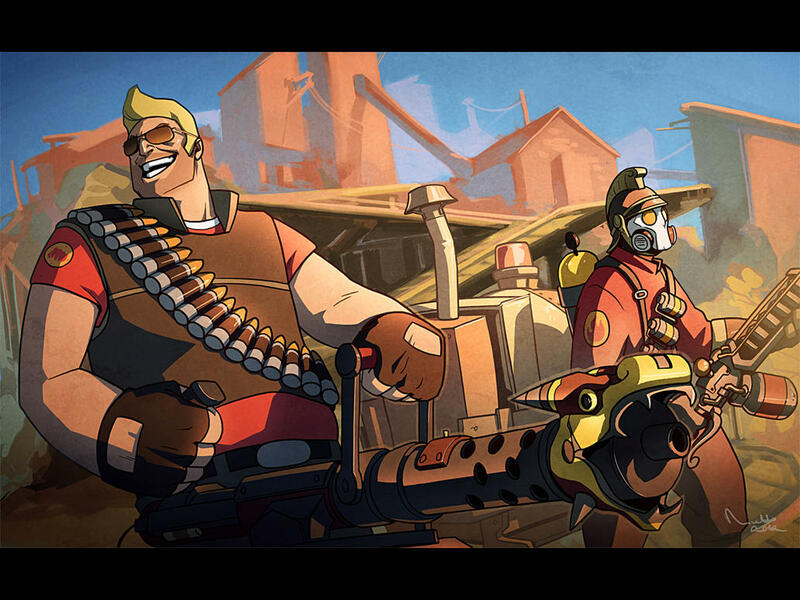 I might do a drawing of TF2 characters in PG3D. Am I allowed to post it here? Yep! Post whatever drawings you'd like to! His other sword looks' a bit too front-heavy, unless that's just the angle. Other than that, nice work! A little something I did for the Pixel Gun contest. I'm drawing a comic right now and it's gonna be on none other than our favorite game but PIXEL GUN 3D! I'm working on Page 3 right now. Anyone know how to post your pictures large enough so that it's easy to see? Upload them to an image site and post them through an img link. It'll make your pictures larger. Here's the first three pages (Featuring Male Survivor, KB Standards, and MadisonsDomain). Feel free to criticize it. It didn't work. Are you sure you're entering the links correctly? Not sure mate, I'm the best at sniping and the worst at internets.